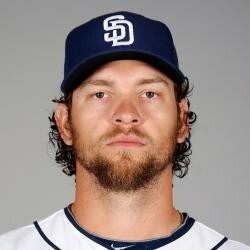 Josh Johnson re-signed with the Padres for 2015. He will make $1 million base and has incentives built on the number of starts he makes. Johson underwent his second Tommy John Surgery last offseason and missed all of 2014. He was a trendy sleeper, going from a bandbox in the Rogers Centre to Petco Park. Given that he hasn't pitched since 2013, exercise caution pulling the trigger on Johnson in your drafts. He was incredible in four of his five seasons with Miami, but the last time he took the mound he mustered a 6.20 ERA and 1.66 WHIP in 16 starts in 2013.